Following the massive success of the ADL GT-40 phono preamplifier, ADL is back with the highly coveted USB ADL Stratos phono preamp! The housing is similar to its predecessor's, with a more exquisite finish. The solid aluminium button makes for a very high end appearance. It is only available in black with silver volume. 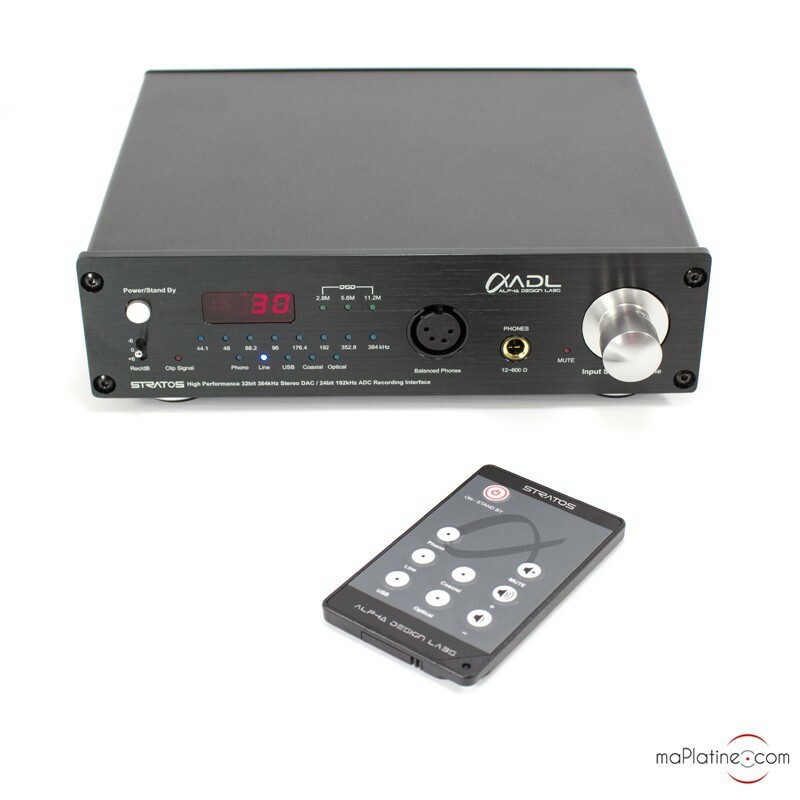 In addition to the volume control, the front panel features a headphone jack, a Phono/Line selector, a USB/Analogue, etc. 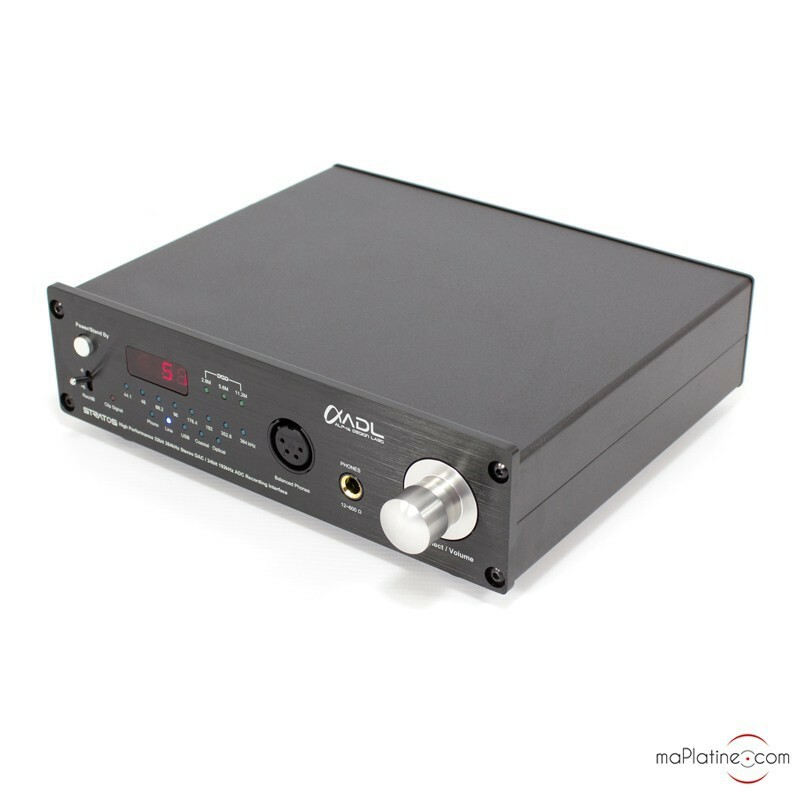 So this STRATOS is a headphone amplifier, an MM/MC Phono preamplifier, a USB phono and a USB DAC! The Hi-Fi 'Swiss army knife'?! 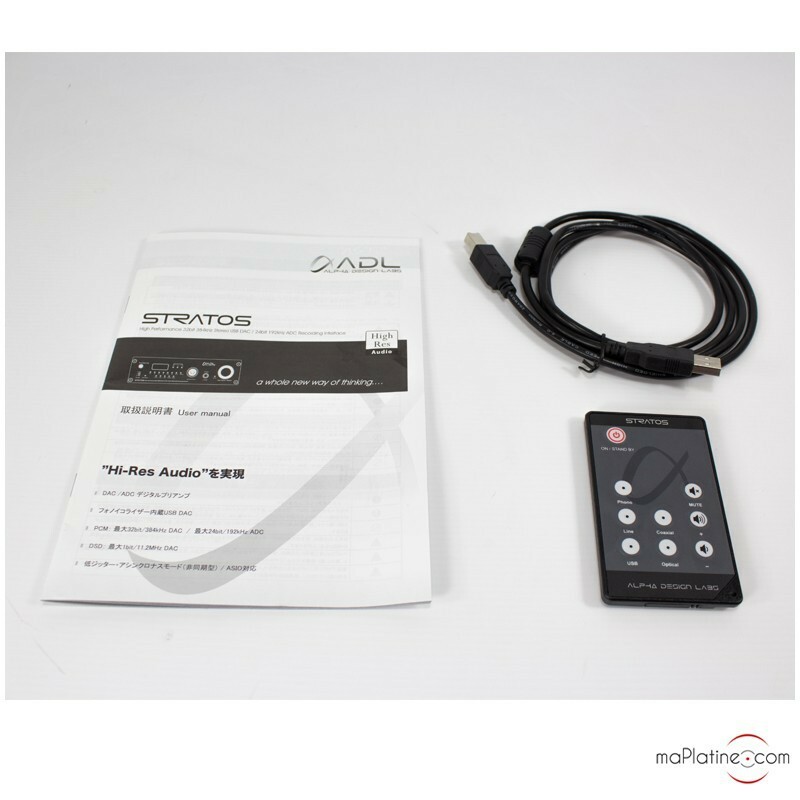 With this ADL you get the benefits of DSD (2.8 M and 5.6 M), USB (24 bits/192 kHz) and DAC. So you can easily handle any musical source on your hard drive with outstanding digitisation and sound quality. 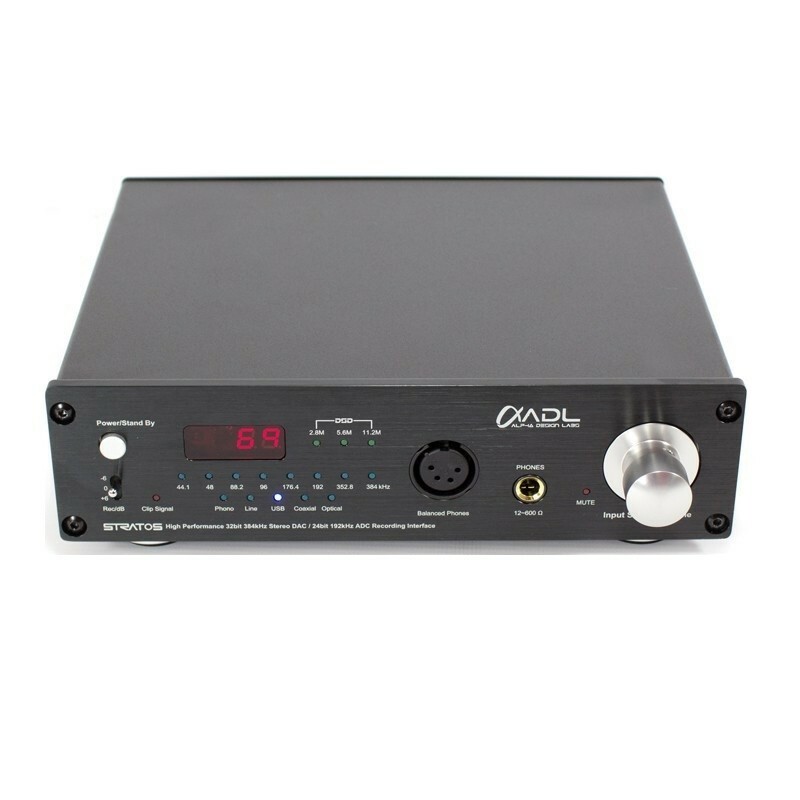 The headphone amplification stage is very efficient and allows for the use of a wide range of audiophile headphones from 16 to 600 ohms! 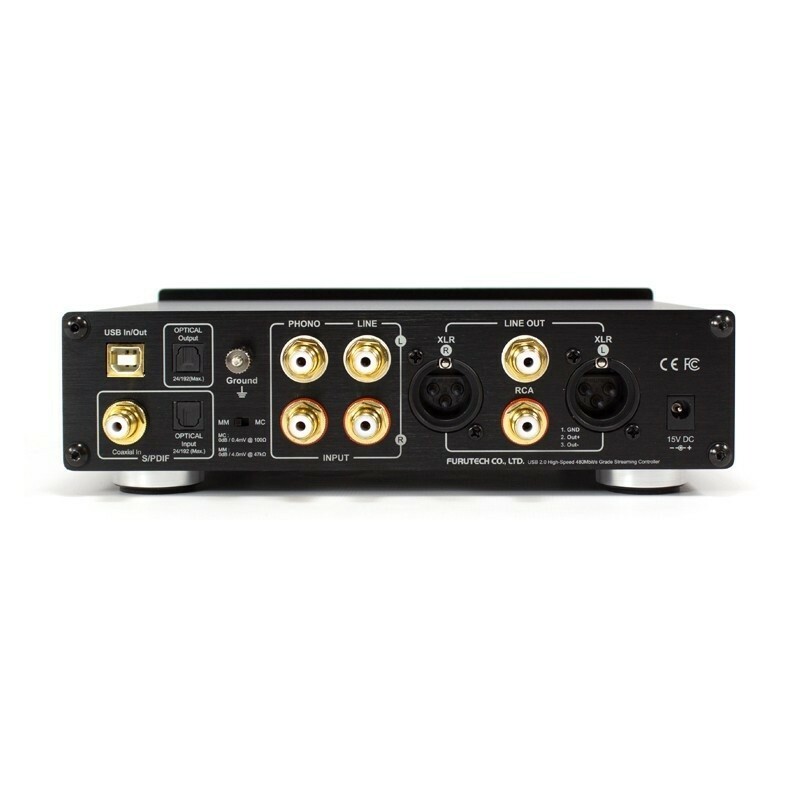 The phono input accepts both MM cartridges (moving magnet 47 Kohms) and MC cartridges (moving coil 100 ohms). You can select one of these options using a micro switch at the back of the system). It is compatible with OS and Windows and is ever so easy to install and use! As always with ADL, the sound is punchy and precise. The balance is excellent and promotes neutrality with texture and no harshness. The digitisation level is taken to new heights, rivalling that of professional mastering equipment. Don't forget that you can control it with high quality headphones and use it as a high-end phono preamp. This ADL Stratos phono preamplifier is clearly unrivalled … because simply there is no product that comprehensive with these features with such a level of quality within this price range! Dimensions: 150 x 141 x 57 mm.